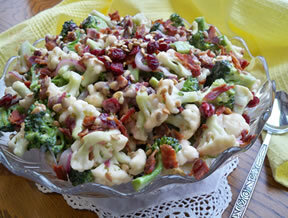 Creamy dressing coats the cauliflower and broccoli, while the sunflower seeds and raisins add texture. 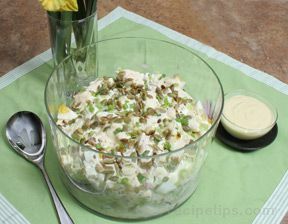 Truly a great salad to bring anywhere. 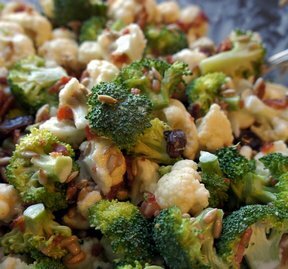 In a large bowl, combine broccoli, cauliflower, onion, raisins and sunflower seeds. Mix salad dressing, sugar and vinegar together. Add to the vegetables. Refrigerate. Add diced bacon just before serving. 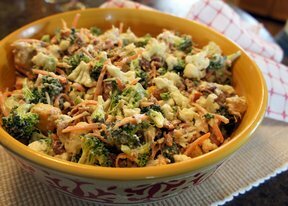 "Great salad, even with the raisins! I wasn't sure of them, but added them anyway. Just add a slight sweetness everyone loved."